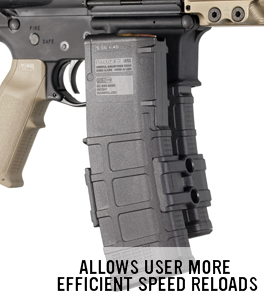 The MagLink is a coupler for PMAG M2 MOE and PMAG M3 magazines which allows the user to attach two magazines together for more efficient speed reloads, and to keep an additional 30 rounds of ammunition accessible on the weapon at all times. The MagLink features a two-piece bolt on design and durable, lightweight reinforced polymer construction. 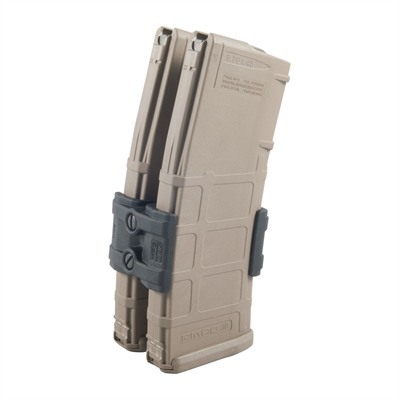 *NOTE: The MagLink is NOT compatible with the first generation PMAG 30 (with Black follower), PMAG 20rd, M3 Pmag 20rd, 7.62x51 PMAG 20LR, EMAG or PMAG 30G (G36).